Jansson’s Temptation is one of my favourite dishes. How can it not be? 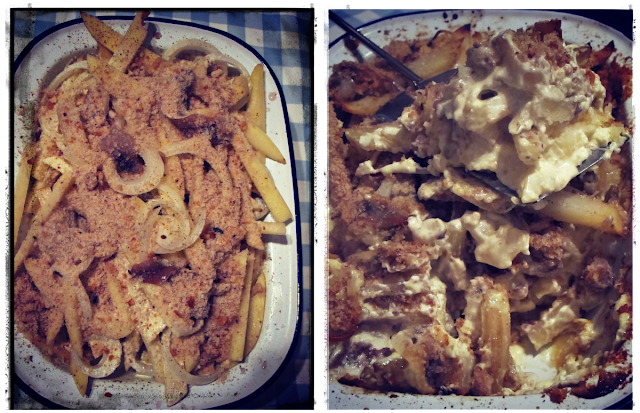 Floury potatoes, fried onions, thick cream and the umami boost of anchovies baked in the oven. I’m not sure however that the classic matchstick shape of the potatoes has the satisfactory mouthfeel, I’m also not too keen on how the anchovies turn the dish an unsightly grey. So I decided to thinly slice the potatoes à la gratin dauphinois and layer the anchovies on top in a criss-cross fashion, a bit like a pissasaladiere tart. This way it would look pretty as well as taste good. So far so good. Things were going swimmingly until I decided to forgo the salted anchovies I usually use and go all authentic by using Swedish anchovies as recommended in Jeremy Lee’s recipe. I was ordering from Ocado’s Scandinavian section and now Swedish anchovies are easily available, plus they came in a really nice tin. Yippee! I tasted one and they were er, raw and…sort of pickled. Swedish anchovies aren’t actually anchovies at all, they are sprats. Perhaps I should have listened to Annie Bell instead. Many recipes for Jansson’s Temptation are mongrels, non-Nordic bastardisations. Recipes can’t even agree whether one should use floury or waxy potatoes. 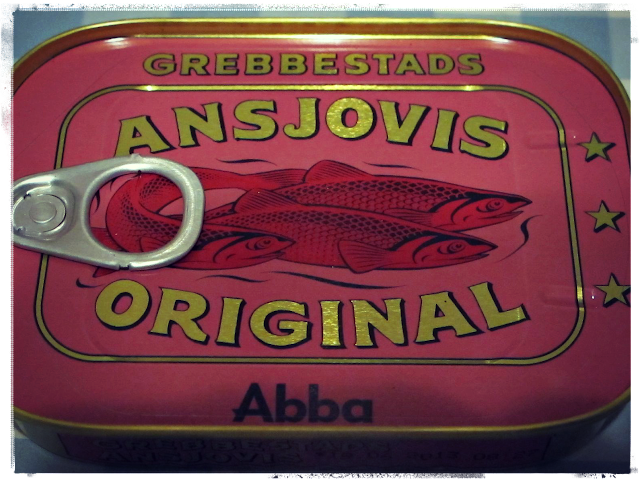 I felt like I needed to get to the bottom of this, my primary question being: Swedish anchovies or not? Last night I tested three Jansson’s Temptation recipes to see: one by Swedish author, Margareta Schildt-Landgren, therefore I guess, the most authentic. The second by Signe Johansen and the last created by myself. 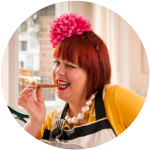 The authentic Jansson’s Temptation recipe by Margareta Schildt-Landgren. Tasty but messy, bit dry at the top. 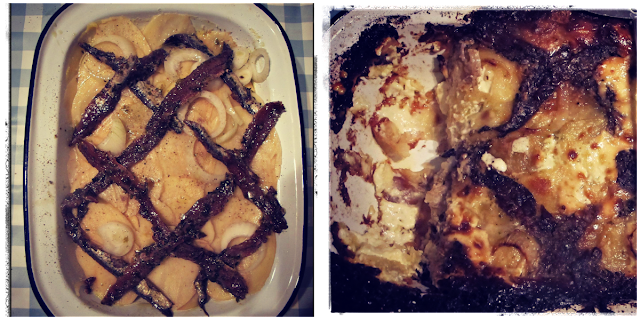 The Swedish author’s recipe was tasty but, as I said, not very attractive visually. 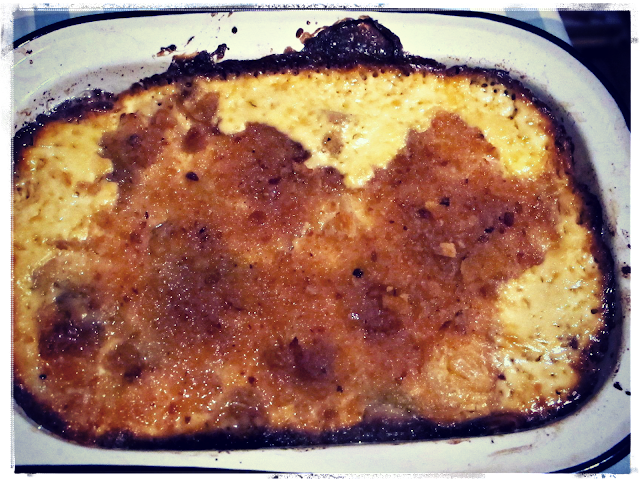 It looked like a load of oven chips crammed into a baking tin. It was also rather dry at the top due to a lack of cream even though I covered it with foil and I used slightly less potatoes than she specified in her recipe. It did use Swedish anchovies, and this time, the sweetness of the pickled anchovy was, while unfamiliar, very effective. Signe Johansen’s take on the Jansson’s Temptation. Sig’s recipe worked very well, it had enough cream. On the inauthentic side, she went for the sliced rather than chipped potatoes, and her onions were pre-fried rather than raw as in the Swedish recipe. In the authenticity stakes, she also used Swedish anchovies. 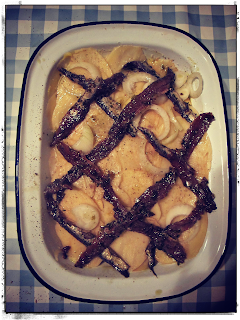 So here’s my final recipe, which is not entirely authentic, but uses Swedish anchovies, looks pretty and will not frighten the horses. As for the burning floury/waxy question, I still don’t know, the same debate ‘rages’ around the subject of Gratin Dauphinois (which I regard as one of my signature dishes). I would require another testing session for that but if readers have any comments on the type of potato please weigh in. I used floury Maris Piper potatoes. Use a small baking dish of around 15 x 15 cms. 1 kilo, which is the equivalent of 5 medium peeled, potatoes, peeled, thinly sliced. 1 jar of Swedish anchovies to be authentic. Prepare the baking tin with butter and garlic. Fry the onions till soft. Layer the baking tin with neat overlapping rows of potato rounds. Do four thin layers and in between add some of the fried onions. After the second layer, add half of the anchovies. On top place the anchovies in criss-cross style. Cover with foil and bake at 180 degrees centigrade for 30 minutes until a fork goes through the potatoes easily. Then uncover and bake for another 15 minutes. Sounds delicious. Do you pour all the cream over at the end or in between each layer? I just pour it over at the end Debstar! Sounds delicious, never knew about this before. Will be trying soon! I don't bother frying the onions. Just slice them thinly. Also I use little dabs of butter in the layers and a little milk instead of cream. I am half Swedish.